This is Pam today. Lately I have not been creating much . No Mojo . When I mentioned this in the MB and that I have some unopened cartridges - many said open and start cutting. So I opened Damask and then also an Elegant Recollections (8.5 x 11) pack and started playing. Remember how I had said I got some crocheted doilies a while back so I played. I took just one image - Damask 17 and then cut the silhoutte feature in 2 inches using black cardstock - qty 2 and then did a shift silhoutte in white cardstock at 3 1/2 and 3 - 3/4th . 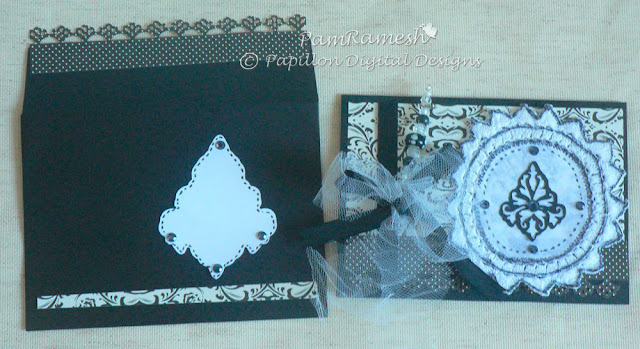 A black envelope and card as base and cutting some papers from elegant recollections pack and using Martha Stewart punch (I think this was flower punch) and voila a card ready. 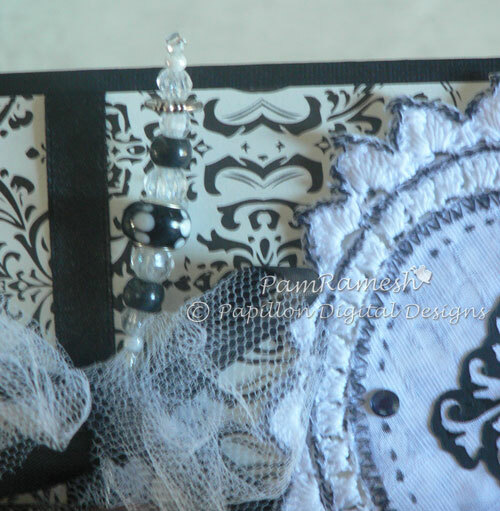 I have also used some tulle and satin knotted together in a bow and I made a jewellary pin. So eacy making them. Took a strand of jewellery wire and threaded a bead in centre and twisted it. Then added some buttons and beads. 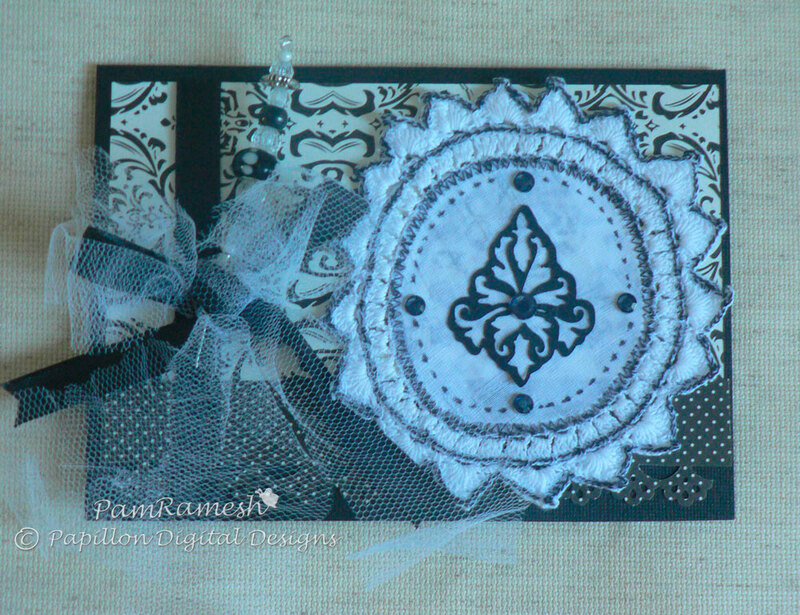 I used one of the white damask stamped it with paper trey ink sentiment and added it to the inside of the card and used the other white shadow damask to the envelope. Of course some blings. And the lace - It was white so to pop up I just used a sharpie . 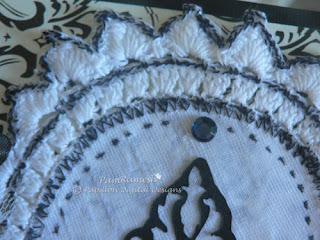 Love the effect of sharpie on thread/stitches. Wow, Pam! So elegant looking! Fab job!